You are currently browsing the daily archive for May 31, 2011. Over the last couple of years we have had repeated assertions that Sri Lankan forces attacked hospitals with heavy weaponry. This is taken up in a very strong statement by the Panel appointed by the UN Secretary General, which states that “The Government systematically shelled hospitals on the frontlines. 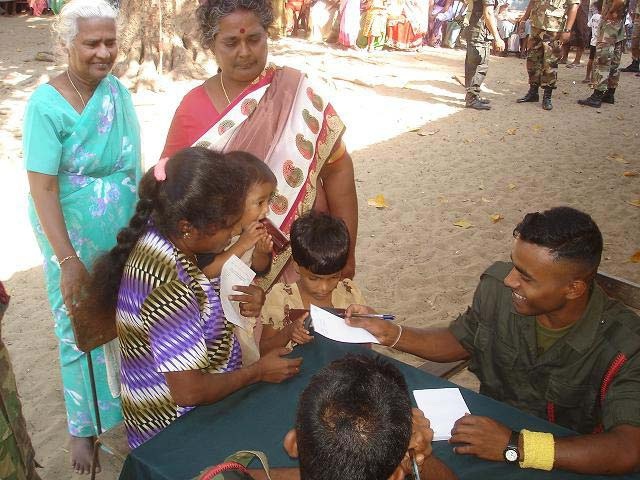 All hospitals in the Vanni were hit by mortars and artillery, some of them were hit repeatedly, despite the fact that their locations were well-known to the Government.” It goes on to claim that this is one of the five core categories of potential serious violations committed by the Government of Sri Lanka. The next time that Tamilnet reported shelling with regard to the hospital, it was ‘targeting the environs of Maa’ththa’lan makeshift hospital’. This was on March 3rd, and the US also duly reports ‘shelling in the area of the Mattalan hospital’. On the next two days again there was firing in the vicinity of the hospital, and then we get shells hitting the area ‘close to the makeshift-hospital’, causing injuries to four already wounded patients on March 13th. It is almost two weeks later that Tamilnet next mentions the hospital, though the US report cites HRW for the hospital being hit by a shell on March 16th, killing two people.